70403. View from Hotel Veranda, Arrowhead Hot Springs, California. 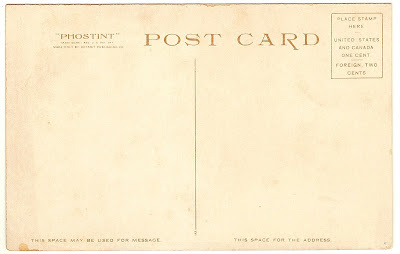 Today, I'm featuring an unwritten and unmailed post card from the collection of my great-grandmother. 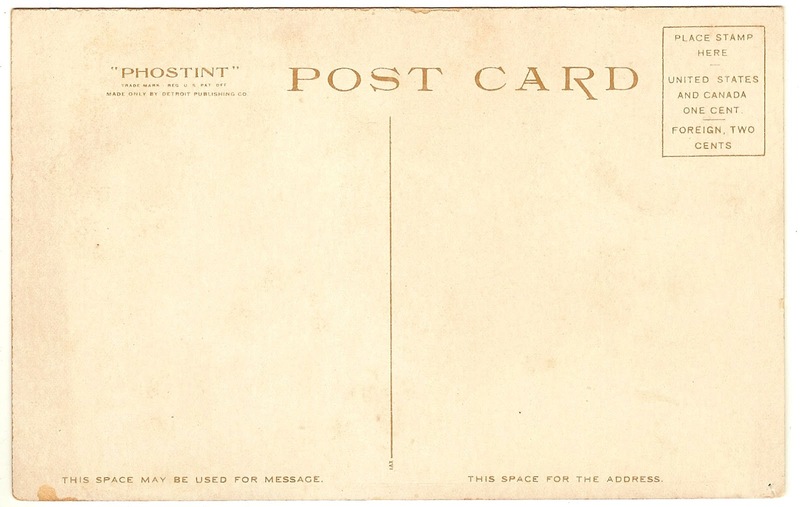 It seems as though relatives and friends would pick up blank post cards from their trips and give them to Jessie upon return and that she picked some up on her own. 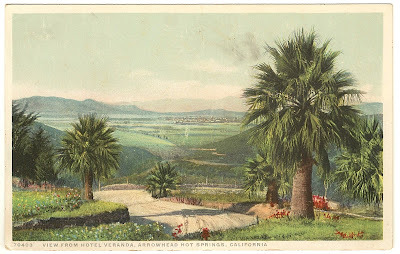 I don't know which way it ended up in her collection, but I sure wish I could travel back in time and enjoy California in its less developed state.